In one day, London Walsh finds out her ex is going to be her boss and that her parents are getting a divorce—and they want her to referee the situation. So when she’s offered the chance to spend the holidays in her old hometown of Christmas Falls, far away from all the drama, she jumps on it. When Caitlin Cook left the small town of Reindeer Falls, Tennessee to attend Harvard University, she left behind the burden of her parents’ slowly increasing hoard of antiques, a much younger brother, and Shane Mitchell—the boy who blindsided her with the news that he loved her on the night before she left. 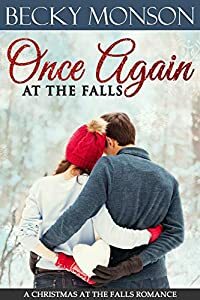 Eight years later, Caitlin returns to Reindeer Falls, and is shocked to find her childhood home in disarray, and her little brother in desperate need of his sister. Determined to make things right, Caitlin begins to rediscover her love for music, antiques, and possibly even Shane—who’s become a pillar of the community, rather than the carefree teenager Caitlin once knew. When faced with the choice of rebuilding her life in Boston, or giving love a second chance in Reindeer Falls, will Caitlin be able to decide on the true meaning of home? This novel was previously published as Love Notes in Christmas Falls and was the Readers' Favorite 2018 Silver Medal Winner for Holiday Fiction. It is now a standalone novel with added content and an updated ending. Piper Wyatt's Christmas wish is to get promoted to manager at Blackstock Hotel and Resort. Not only does the promotion mean more money, but it means more time with her son and proof that she's not such a disappointment after all. 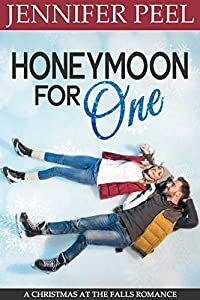 Jace Petersen, successful owner of a national chain of sporting goods stores, finds himself alone and miserable on what should have been his honeymoon. That is until he literally falls onto the lovely Piper Wyatt. He's intrigued with this woman who can fix a car in high heels. Too bad for him, he makes a horrible first impression, and Piper's not allowed to mingle with the guests. While Piper tries her best to steer clear of Jace during his stay, she can't help but notice he's not the man from their first meeting. But is he worth risking her promotion? Jace hopes so, because he'd love nothing more than to kiss Piper atop the Falls on Christmas day to see if the legend is true. Will they both get their Christmas wishes? Attorney Thad Raker is a man who believes in Santa Claus. And for good reason. He’s won two trials for defendants who said they worked for Santa Claus and he saved Christmas both times. But when Raker is hired 11 years later to defend the toy company that made the most popular Christmas present in 50 years—the Reindeer Hoverboard—he becomes entangled in the greatest threat to Christmas yet. And he learns that the survival of Santa’s North Pole village is at risk. 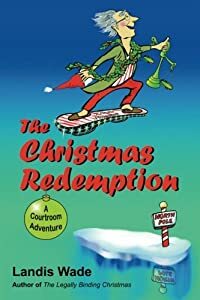 Standing in Raker’s way are a large class of angry plaintiffs, an unbelieving judge, the FBI, several North Pole conspirators and Hank Snow, Raker’s nemesis from his previous Christmas trials. Raker needs all the help he can get in this, his toughest case ever, but Snow is the guardian of many secrets and has his own plans for the future of Christmas. Tina has daddy issues... Grumpy, workaholic Santa always favored her brother hoping to groom him to fill his boots when the time comes. But Nick hates Christmas and is focused on rock stardom, so it falls to Tina to leave college and temporarily return home to run the family business at the North Pole after a family emergency. This is the worst timing! She has a serious crush on her brother's bandmate and now she has to leave! 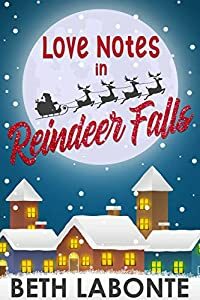 Not only does she have to deal with a long-distance crush, rowdy reindeer, and family drama, but her irresistible first love who broke her heart suddenly turns up, her best friend is flirting with an elf, it's time to negotiate the union contract, and those Peppermintinis at the local pub are way too tempting. Christmas Eve is quickly approaching and she's counting on her undependable brother to deliver the presents. After all, Santa is supposed to be a man, right? It's not easy being Santa's daughter! Christmas magic, girl power, and a dash of romance make this a fun story any time of year!